Despite Hurricane Harvey and political uncertainty, the Houston real estate market breaks through record territory in 2017. The full Houston home sales for 2017 are out and numbers show the Houston real estate market setting new records across the board. Despite the devastating flooding and destruction that followed Hurricane Harvey last summer, single-family home sales for the full year rose 3.5% compared to 2016. Sales of all property types in 2017 totaled 94,726 units, a 3.5% increase over 2016’s volume, which was 91,530. Total dollar volume for single-family homes sold in 2017 jumped 6.5% to $23 billion. 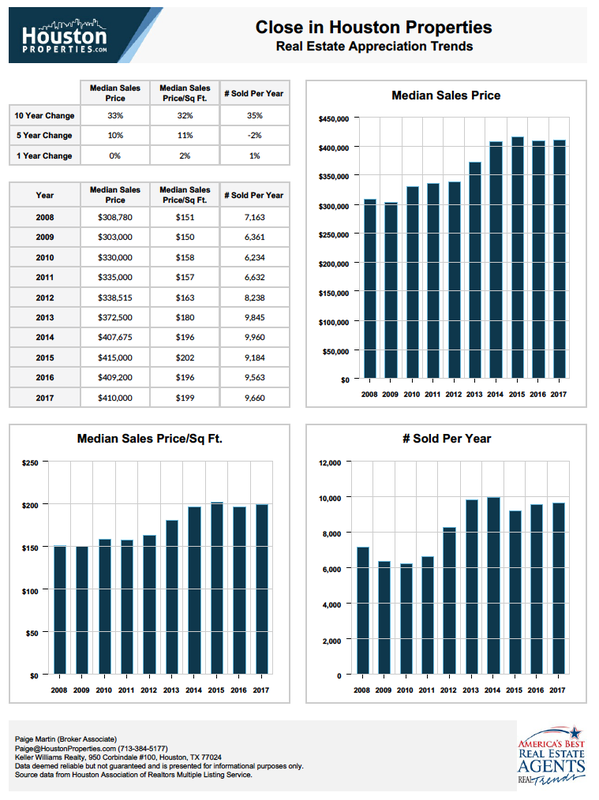 While the numbers provide a good overview and a rosy outlook for 2018, a deeper look at Houston Real Estate Data By Housing Segments shows that the numbers are anything but “average”. Despite Harvey, the Houston real estate market recorded a 3.5% increase in total home sales and a 6.5% jump in total dollar volume in 2017. Despite the devastating assault that Hurricane Harvey waged on the greater Houston area last summer – from which many property owners are still recovering – the Houston real estate market set new records by the time the sun set on 2017. Single-family home sales for the full year rose 3.5 percent compared to 2016, the previous record year. However, as 2018 gets underway, the supply of housing remains constrained. Inventory had begun to reach more balanced levels when Harvey’s widespread flooding sent affected residents scrambling for whatever undamaged rental and sales homes were available to provide safe shelter for themselves and their families. Note: much of the text originates from the Houston Association of Realtors Newsroom. Houston’s lease market had a mixed performance in December. Single-family home leases fell 3.6 percent and townhome/condominium leases rose 7.3 percent. The average rent for single-family homes increased 3.3 percent to $1,745, while the average rent for townhomes/condominiums rose 2.4 percent to $1,532.